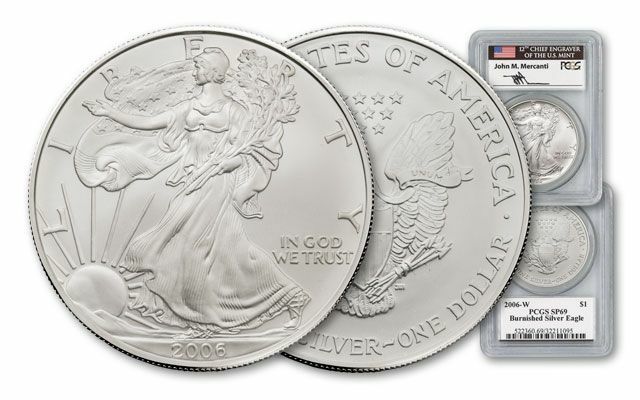 2006 marked the 20th anniversary of the American Eagle Bullion Program. 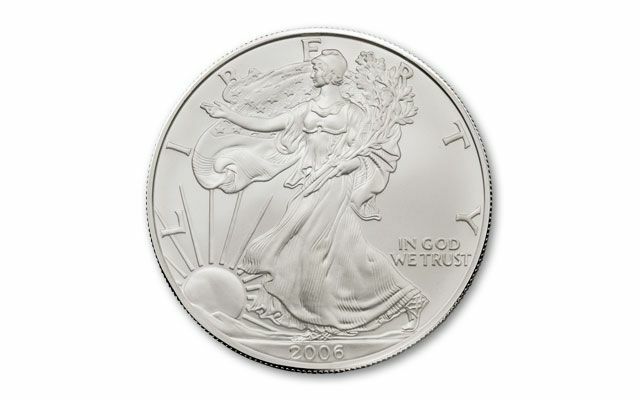 The price of silver skyrocketed at the time, which increased demand in 2006. 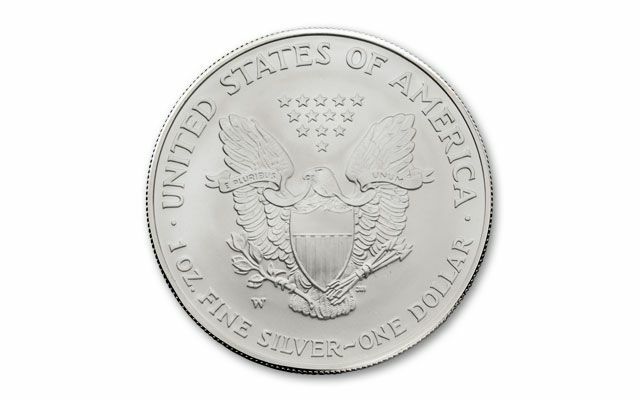 In response, the U.S. Mint released several versions of American Silver Eagles, including the collectible 2006-W Burnished Silver Eagle, also known as the "Burnished Uncirculated" Silver Eagle." They account for only a fraction of the total bullion Eagles - 22 1/2% times fewer to be exact - making this key date highly collectible. 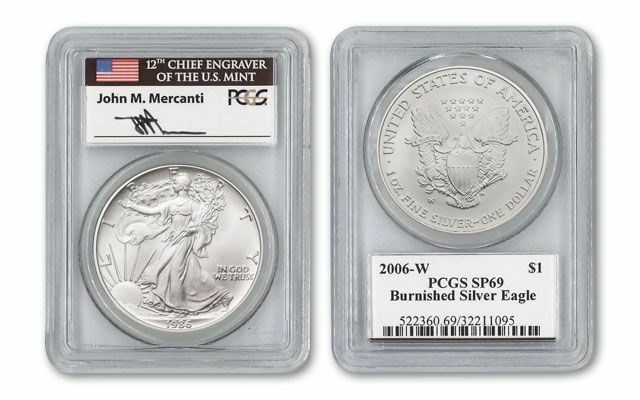 Even better, each is graded Specimen-69 (SP69) by Professional Coin Grading Service (PCGS) and the label is signed by the reverse’s designer, John Mercanti, 12th U.S. Mint chief engraver.